Why hire a professional trainer rather than train my dog myself? While it may seem simple to train your dog as long as you know what you want and are consistent in your speech and actions, effective training is actually much more complex. You and your dog start out “speaking” two very different languages, and establishing effective communication between you requires a knowledge of both languages as well as familiarity with how dogs learn. Even what seems like common sense to you might end up teaching your dog the very opposite of what you meant to teach. Most likely, you do not have the time to develop the expertise that certification requires trainers to have. Therefore, if you try to train your dog yourself, you may be wonderfully successful, but you may end up needing to hire a trainer to undo your “training” and re-train to achieve the results you originally wanted. In any case, please know that you will remain an integral part of the training process. Our role is to coach you as you train your dog. If you are even wondering about whether you should hire a trainer, please call for a free consultation and we will be happy to discuss all of your options, including sharing resources that will help you train your dog yourself. When is the right time to begin training a puppy? It is never to soon to start training a puppy! What most people do not realize is that they are training all the time, whether or not they intend to. Dogs learn something from every interaction. For example, if your dog jumps on you and gets pet, she learns that (or has at least banked one experience in which) jumping up gets her attention. Furthermore, some types of training are particularly helpful for young puppies, such as crate training and socialization. That said, bear in mind that puppies’ cognitive development and attention spans are not the same as those of adult dogs, so consider carefully what to teach your puppy and when. How long will it take to train my dog and what is the schedule? how much and how consistently you practice with your dog. Most clients want to have a session roughly every week, but if you are very motivated and practice a lot, we are more than happy to schedule the next lesson for as soon as you want it. Obviously, schedules are not rigid – they need not be at the same time on the same day each week. They times, days, and even frequencies can vary according to your schedule. What are the training and behavior problems you can change? Some behavioral issues, however, such as anxiety (general, situational, separation, etc. ), reactivity (dog-human and dog-dog), phobias, and resource guarding, are more complex. Behavior modification plans for these issues can and do definitely, and often vastly, improve the behavior as well as help you deal with the effects of the problem, but the root of the problem may never be fully cured. What is the difference between obedience training and behavior modification? 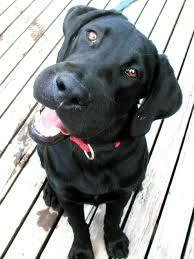 Obedience training engages your dog’s thinking process and capability for rational thought. For example, “I went to my bed before and got a treat. Maybe if I go to my bed again I’ll get another treat.” It basically facilitates effective communication with your dog so that you and your dog essentially have the same term / signal in your relative languages for each behavior you train. Behavior modification, on the other hand, deals with your dog’s emotions (usually fear), which may or may not be rational. While obedience training essentially changes your dog’s mind about behaviors (in other words, simply teaching your dog), behavior modification changes your dog’s feelings about behaviors or situations, usually about external stimuli such as people, other dogs, places, objects (e.g., skateboards), etc., that trigger fear in your dog. Though these two processes have different purposes, methods, and goals, they also have several characteristics in common: both help you understand your dog better, improve your dog’s confidence, and strengthen the bond between you and your dog. How does pet tracking work and will it really bring my lost pet home? most of all, for when you are not (or no longer) getting calls from the flyers you have put up, usually because your pet has moved to a new area. The track will find where that new area is, which will tell you where to put up fresh flyers. The vast majority of recovered pets make get back home due, either directly or indirectly, to the flyers posted about them. Pet tracking tells where to put up those flyers to maximize the chances of reaching the right people and getting your pet home safe and sound. Why would I have Canine Train Tracks run the search for my lost pet rather than run it myself? (again, if you are lucky and the search has advanced to this point,) maintaining feeding stations, checking motion-sensing cameras, and conducting surveillance. Most people simply do not have time to do all (or even most) of this themselves, they have no experience at it, and even the responsibility of organizing and managing volunteers (Godsend that they are!) is often difficult, frustrating, and time-consuming. Finally, if your pet goes missing, you will probably be so exhausted, physically and emotionally, after the first few panicked days of searching that having someone else, someone more capable, knowledgeable, and available, take over the search is not so much a luxury as a necessity if you want to keep up an intense search.